Need Work For Your Bay Area Machine Shop? You Need Contacts ! Get Instant Access to accurate list of decisions makers in Bay Area companies looking for machine shops like your ! Direct contacts of Buyers, Engineers, Planners and others responsible for sourcing machining work. 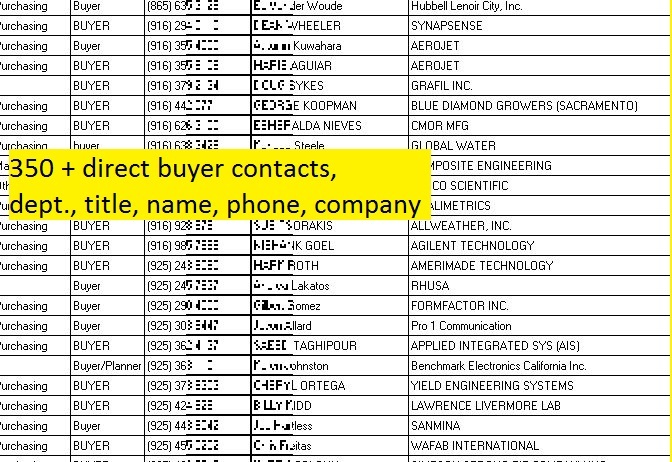 Shortly after payment you will receive email with two excel files, totaling about 800 direct contacts in Bay Area manufacturing companies who are likely to require machining work.